14 Oct 2017, Gauteng: Pretoria: Last night police members based at the OR Tambo International Airport (ORTIA) and the Johannesburg East Cluster made a significant breakthrough in what has been dubbed the "airport-following" robberies, committed in and around the Johannesburg area. The team, acting on information, monitored a security vehicle and discovered that this vehicle, which is contracted to work at OR Tambo International Airport, was following a sedan from ORTIA travelling towards Sandton. 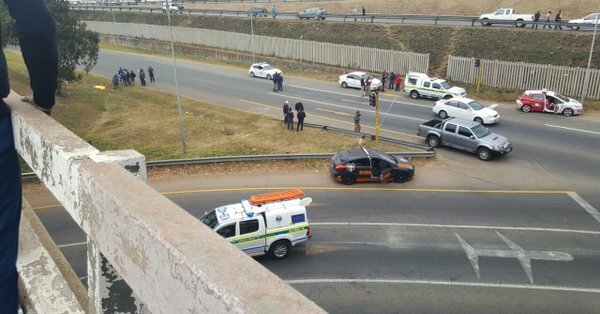 The security vehicle was stopped and it was discovered that one of the occupants was a security company manager who is wanted for a case of possession of unlicensed firearm and an armed robbery case in the Limpopo province. The security company manager as well as a second occupant in the security vehicle were immediately arrested. The team worked throughout the night and during early hours of this morning arrested a further four suspects in the Hillbrow area. All six suspects are between 23 and 38 years of age. A seventh suspect managed to escape and he is still at large but being sought by the police. Several incriminating items, including the security vehicle, a sedan, passports, at least 15 cellular phones and several luggage bags have been recovered in Hillbrow. The team also recovered two pistols which will be sent for ballistic testing to establish which crimes, if any, they may have been used in. 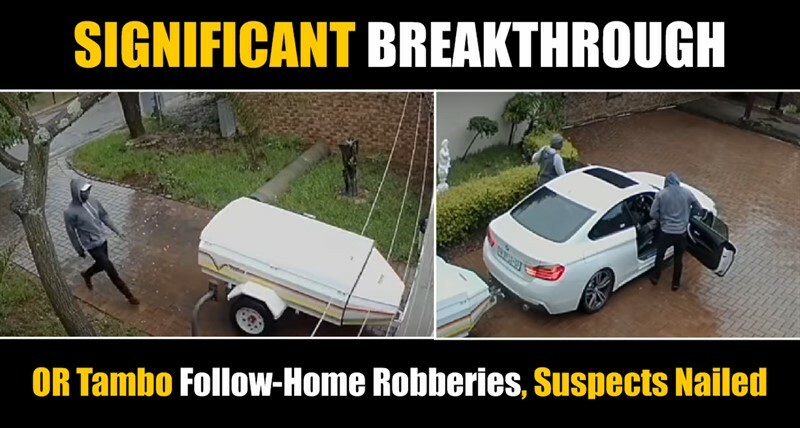 The team is also investigating the possibility that these may have been the same suspects that are responsible for the robbery of seven foreign visitors at Colette Drive this past Thursday night. The Deputy National Commissioner responsible for Policing, Lieutenant General Fanie Masemola, complimented both the teams of O R Tambo International Airport as well as the Johannesburg East Cluster for a job well done. "The sterling work by these teams has brought us a step closer to cracking these incidents of "airport-following" robberies and they must be commended," said Lieutenant General Masemola. "However, our job does not end here, we will still have a lot to do solve the many robberies that were committed and to prevent new ones from taking place and we won't rest until we reach a positive outcome", added General Masemola.